Our talent on your table. While looking forward to your Villa Campestri vacation, you may want to have a foretaste of the historic, culinary, and emotional experiences that await you. Put on an apron and try out one of our special dishes that unite Tuscan flavor with that unforgettable “Campestrian” touch. This makes enough for 8 to 10 people, depending on what else is served. 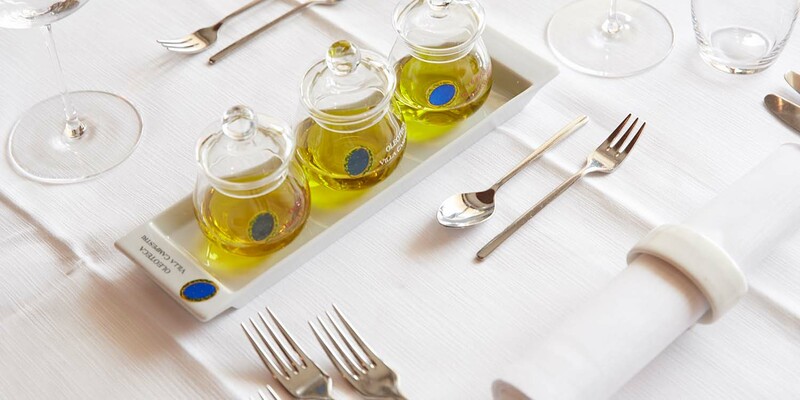 4 to 6 tablespoons olio nuovo (fresh new olive oil), if available. Drain the beans, and discard the soaking water. Place the beans in a large saucepan with the carrot and one of the onions. Cover with fresh water, bring to a boil, lower the heat, and simmer, covered, until beans are very soft, from 40 minutes to 2 hours, depending on the age of the beans. Keep a teakettle of water simmering, and add more water to the beans as they absorb the liquid. They should always be just covered with water but never swimming in it. The farro should not need soaking but it should be rinsed briefly in a colander to get rid of any dust. In a medium saucepan cover the rinsed and drained farro with boiling water to a depth of 1 inch. Bring to a simmer and cook, covered, for 20 to 30 minutes, or until the farro is tender. When the beans are very soft, puree in a food processor or put through a food mill, together with their liquid. Drain the farro and add to the beans. Chop the second onion with 3 of the garlic cloves until finely minced. Over medium heat saute the garlic and onion in 1/4 cup of olive oil until soft. Add to the pureed beans and mix well. Cut the loaf of bread in thin slices. Halve the remaining garlic clove, and rub the bread slices well on both sides. Place half the remaining Oil in the bottom of a heat-proof soup tureen, line with a layer of bread slices (you probably won’t need all of them), and tip the remaining Oil over them. Pour the soup over the bread slices. Cook gently over medium heat until the mixture is bubbling and the bread is slightly crisp. Serve immediately, passing fresh new oil to pour over each serving.